Moscow's new Rublyovo-Arkhangelskoye district, designed by Zaha Hadid Architects and Pride Architects, will be a "people-centric" sustainable smart city. Located to the west of Russia's capital city, the 460-hectare site will be turned into a mixed residential, business and culture hub. "We developed a people-centric design for a smart interconnected city that brings people together not only through innovative technology but also through organising the public realm," said Christos Passas, project director at Zaha Hadid Architects (ZHA). ZHA alongside Pride Architects – a studio based in Russia – consulted studies about happiness whilst masterplanning the district, concluding that building communities, access to nature and environmentally friendly design were key factors. 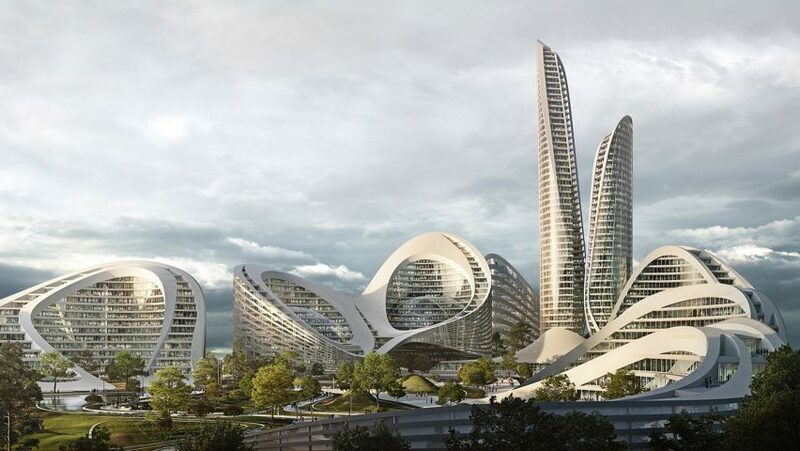 ZHA has proposed a staged development process, so residents can become adjusted to the new technology and integrate properly. Over a third of the smart city will be given over to parkland and forest, with a large lake in the centre. Smarter energy structures are defining feature of smart cities. The architects used the EDF Group's platform for simulating energy use in urban scenarios to optimise how local sustainable energy sources will be used to power the city's technology effectively. Moscow's population currently stands at 12.4 million, an increase of 30 per cent in the past 20 years. The new district is designed to ease the pressure without curtailing the city's growth. Rublyovo-Arkhangelskoye will be able to house 66,500 new residents when complete. It will also provide 800,000 square metres of office space for Moscow's growing financial consulting, legal and auditing sectors. It will be connected to Moscow via a 12 mile metro line. The railway will begin construction in 2020 and connect to Moscow's Shelepikha interchange station. Smart cities are seen by many as the future of urban environments. In America a cryptocurrency millionaire has announced plans to build a smart city using blockchain technology in the Nevada desert, and the Saudi Arabian government is investing £382 billion in a fully automated city filled with robots. Renders are by Flying Architecture.